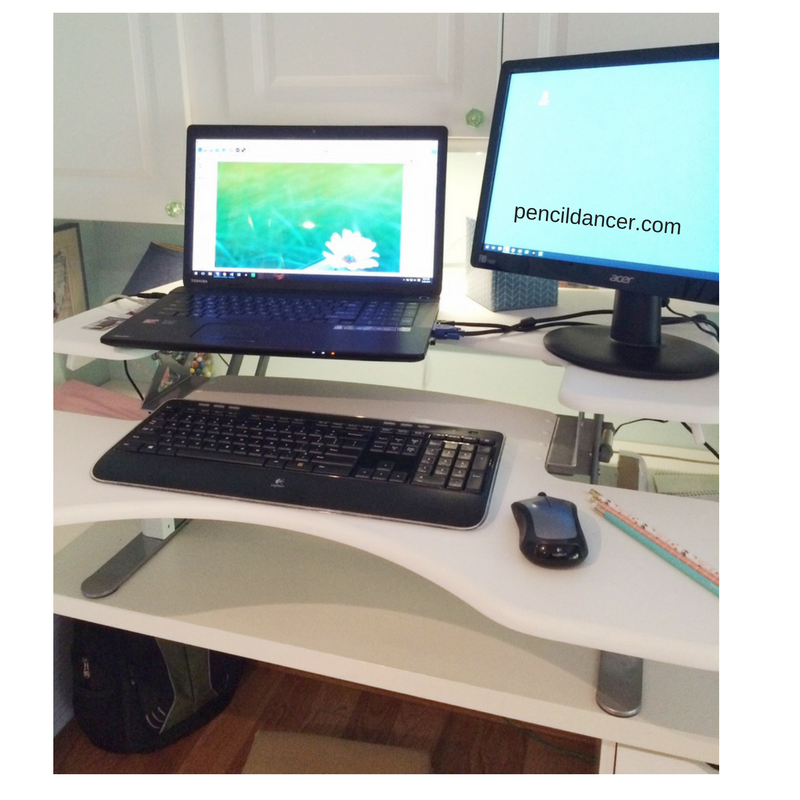 A self-employed writer can’t get sick. At least, that’s what we’d like to think because there are deadlines, marketing and writing blog posts that must be done. Is there a way to prevent getting ill? No. 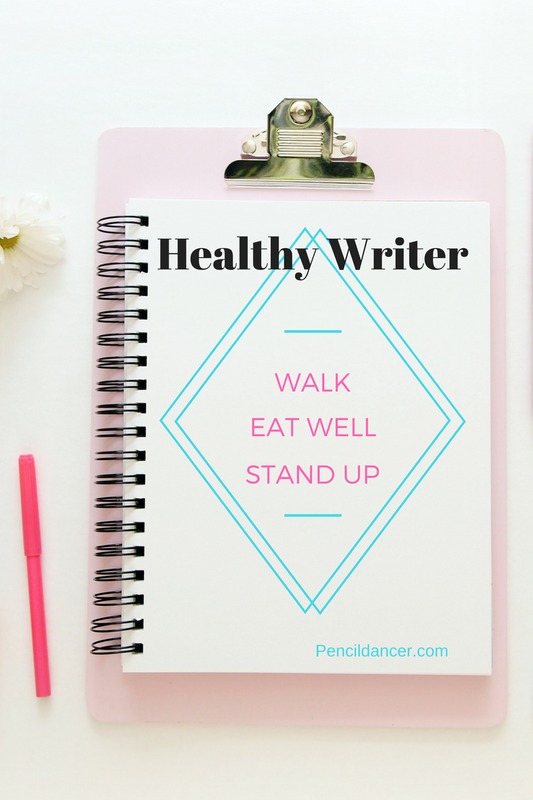 But there are ways a writer can live healthier. Sitting is bad if you do it all day. Not only does it shorten your life, but it also leads to needing more chiropractic adjustments, massages, and weight gain. The FitBit One surprised me since I was sure I moved a lot opening the door multiple times for the cats. That’s up and down out of the chair so it’s like a workout, right? Nope. Turns out I walked less than 300 steps a day. Now I do 10,000 or 7,000 if I’m adding Eccentrics or Classical Stretch which is a stretch and toning class, and killer workout that fools you into thinking it’s easy. The Varidesk was pricey, but it’s paid for itself by reducing the amount of chiropractor visits for adjustments, and when I do go it’s for my stiff neck. It comes with an app for your phone or computer that will let you know when to stand or sit. The other surprise has been the Trim Healthy Mama Plan and Cookbook. This diet lets you eat well. This morning's breakfast? A cinnamon roll muffin with icing. Sweet joy! And yes, you lose weight and fast. Being thinner is a good thing for a writer who sits too much. Look on Pinterest and FaceBook for THM and you’ll find groups and recipes to make it easier to figure out. 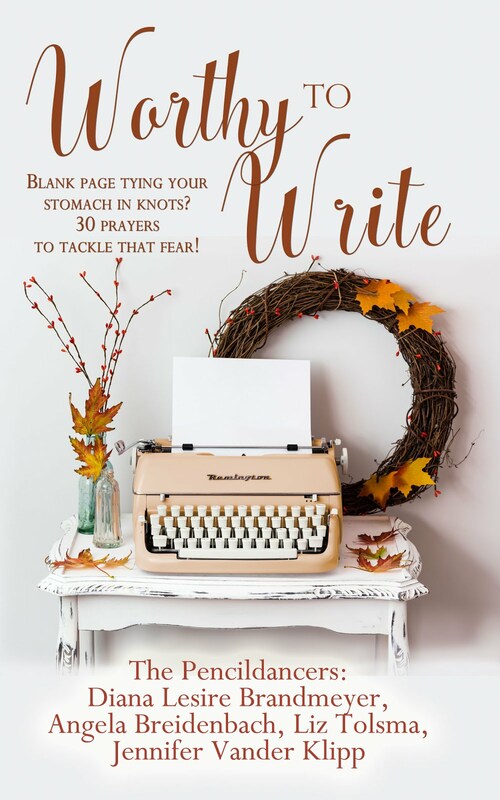 None of these will prevent this writer from getting a cold, the flu or make hypothyroidism disappear, but by doing them, I will feel better, recover quicker and get back to writing sooner. Now, the only fear is tech neck. Did you know there is such a thing? Bending your head to look at screens is causing early neck aging! Where is that coconut oil? 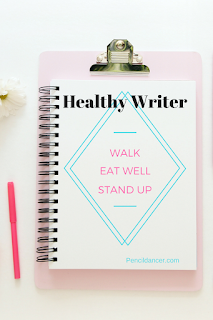 How are you staying healthy Pencildancer readers? 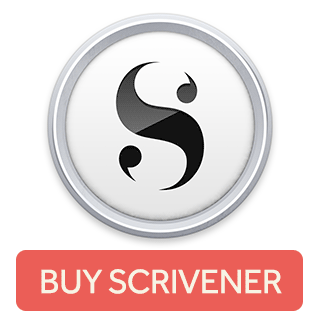 This post contains affiliate links, which means I receive money for this site if you make a purchase using links Thank you!